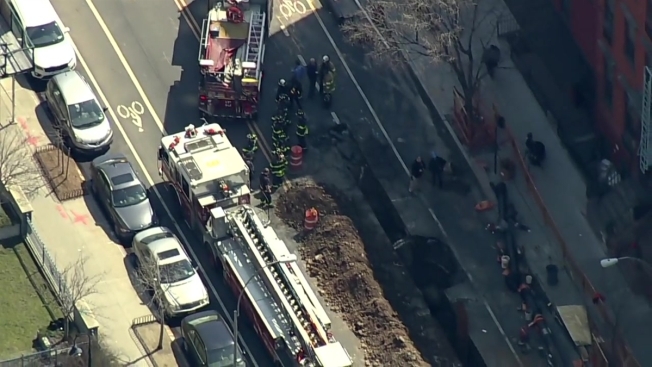 A gaping six-foot hole has opened up at a work site on a Manhattan street, briefly sending a worker tumbling into the pit before firefighters were able to rescue him. The FDNY says they were called to the area of Montgomery Street and East Broadway on the Lower East Side just before 11:30 a.m. for an injured worker down a collapsed trench. The worker was removed from the trench, which was about six feet deep. He was evaluated on scene, FDNY says.